For over twenty years, the Tribe has voiced concerns to the water agencies over their management of the Coachella Valley aquifer. The Tribe’s long-standing concerns center on the need for more responsible management of the aquifer’s water quality and quantity. 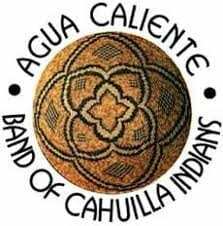 While the Agua Caliente Band of Cahuilla Indians has been treated as an interested party in management issues, its standing as an Indian tribe with a sovereign status under federal law and defined rights to a share of the aquifer has been repeatedly ignored and rebuked by the agencies. 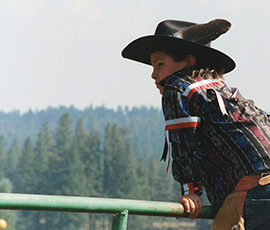 The Tribe offered to negotiate a settlement with the agencies in 2012-2013 before initiating the lawsuit, but the agencies steadfastly refused to talk and were unwilling to acknowledge the Tribe’s rights. Subsequently, millions of ratepayer dollars have been needlessly spent by the agencies as they fight the Tribe’s efforts. This denial of the water agencies’ appeals means that the Tribe’s right to groundwater is firmly shielded. However, the case is far from over. With this “phase one” part of the trial put to rest, the Tribe, the United States, and the water agencies are addressing what are called the “phase two” legal issues. Phase two will deal with the correct method for quantifying the Tribe’s share, whether there is a right to water of a certain quality, and whether the Tribe owns the groundwater storage space under its reservation. A decision on these three legal issues will be issued by the court in the first quarter of 2018, and that decision will guide the “phase three” legal issues of the case which include quantification. NARF will continue to fight to ensure that the Tribe’s water rights are properly acknowledged and honored. Read more NARF’s work on behalf of the Agua Caliente Band of Cahuilla Indians.